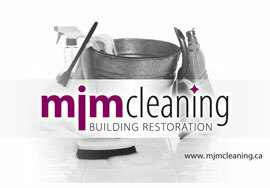 MJM Cleaning has been providing commercial and residential cleaning services in the Ottawa area for over 12 years. Our normal customers include restaurants, bars, theatres, billiard halls, function spaces, offices, retail spaces and residences. 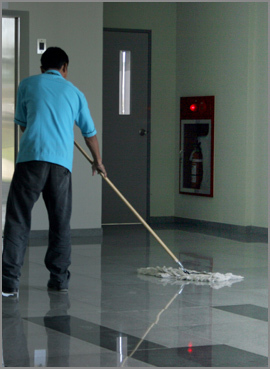 We are available to be engaged for a “one-time” cleaning project or to clean your business or home on a regular basis. Over the years, MJM has grown its business primarily through word-of mouth referrals, obtained through consistently satisfying our customers. Proprietor Michael J. Muha takes a direct and personal role in every job and client relationship to make certain that every customer is 100% satisfied. In addition to 5-star cleaning services, we also provide quality painting services and plumbing/electrical services at rates that simply cannot be beat. Save yourself the headache of dealing with a number of service providers by having MJM capably handle all of your basic janitorial and maintenance needs. Our MISSION STATEMENT is to provide 5-star cleaning services at affordable rates. No job is too big or too small. Please give us an opportunity to clean your business or home – we are confident that you will be impressed! MJM staff are all trained personally in professional-quality cleaning and the use of specialty equipment by proprietor Michael J. Muha. Staff are courteous, professional and punctual. We never deviate from our very high standard of cleaning excellence. Proprietor Michael J. Muha conducts regular and random checks of all cleaning work to ensure that we clean to your specifications and requirements. MJM carries $2 million of full insurance coverage and is a WSIB accredited business. We employ many different types of modern and sophisticated cleaning equipment to suit all types of cleaning tasks. We use only modern, industrial quality vacuums, scrubbers and steam-cleaners. We use only the highest quality, non-toxic, phosphate-free cleaning products, supplied by ROMCO. Safety is at the forefront. We have the right equipment and products for every job, from basic/gentle house-cleaning to major commercial/industrial cleaning.